Metta Centre is run on the power of generosity. Just as a home requires ongoing maintenance and improvement, our Centre is our home for spiritual practice and similarly requires upkeep. Your assistance can help us maintain and grow this Centre so it may flourish to serve countless generations to come. There are no paid staff at Metta Centre, and we rely on volunteers such as yourself. 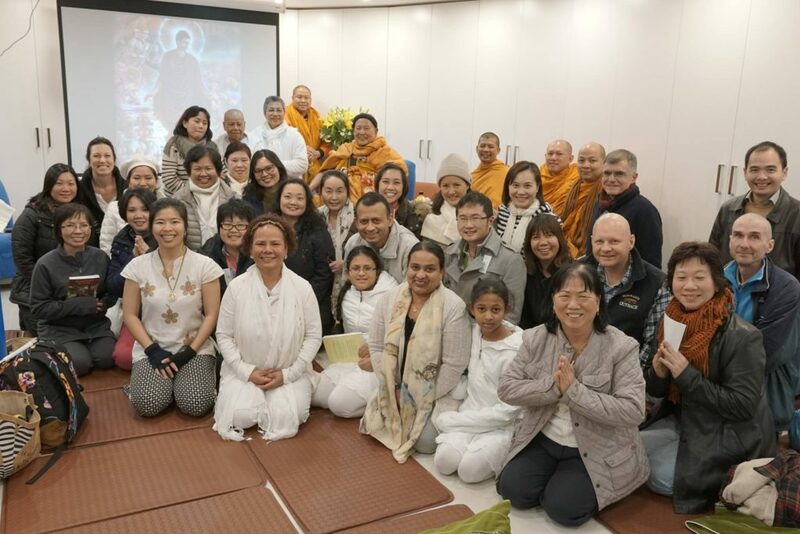 This is an exciting time to become involved as we grow the Metta Centre to meet the upsurge in interest in those who wish to learn and practice the Buddha’s teachings at the Centre. Metta Centre has so much potential to achieve great things, and we are looking to build a strong team of like-minded individuals. If you are interested in volunteering your professional skills or if you want to learn a new skill, we would love to hear from you. We are seeking volunteers who wish to volunteer for a specific project, task or event, as well as volunteers who want to provide general assistance to the Centre. We hope you can join our community and marry your Dhamma practice through Dhamma service. The Buddha said that the greatest gift of all is the gift of the Dhamma. We can never underestimate the power of one talk, one meeting, one experience, on someone’s life. If you have benefited from the Buddha’s teachings, we invite you to share with your friends, families and acquaintances opportunities for them to experience the Buddha’s teachings. Please let them know about the Metta Centre, our aims, our events, and our community. If you know of any Buddhist groups and teachers who require a venue for their talks and meetings, please let them know about our space. Metta Centre is a non-profit organisation. It currently is not self-sufficient, but we hope that through time, donations to the Centre would allow it to be able to fund itself independently. All donations are greatly appreciated and will be used for the upkeep and maintenance of the Centre. Any extra funding will be used to fund community projects. If you have any ideas or opportunities for fundraising, we would love to hear from you. We thank you for your generosity. Drop by drop a jug is filled; little by little our Centre is built.